The Leo 2 drawer bedside chest is manufactured with metal handles, extra deep drawers, bottom mounted glide runners and quality castors, for easy movement. It is available in a choice of nine colour finishes (Bardolino Oak, Coco & Wenge, Driftwood, Ferrera Oak, Hickory Oak, Rimini Oak, Truffle Oak, Tuscany Walnut and Wenge & Coco). 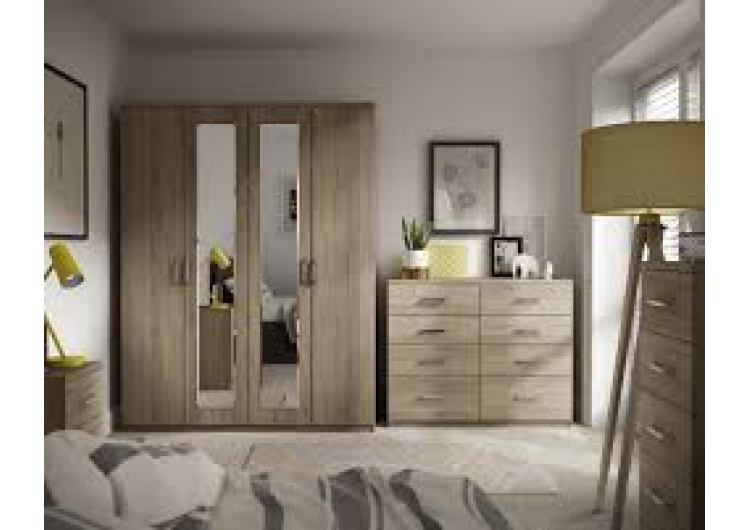 The Leo bedroom furniture range is made in the UK and delivered fully assembled. It is on display in our showroom enabling you to view prior to purchase. All pieces are sold with FREE Delivery and FREE old furniture disposal.